Experience World Class Sportfishing in Costa Rica's Guanacaste Region! 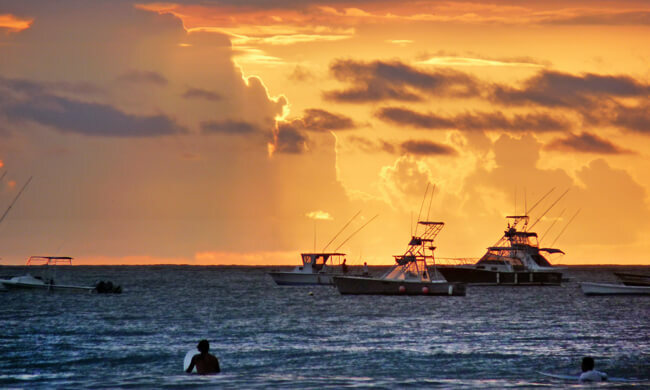 Go on an exciting sportfishing tour in sunny Tamarindo. Head over to the beach where you will board one of the company’s fishing boats. Then set out on an unforgettable adventure where you might fish for marlin, swordfish, and more.The boats are equipped with GPS, depth sounder, and a bilingual crew. Also included in every tour are tackles and all other necessary equipment. Features: English-speaking crew. Choose among several boat options to fit your friends or family. Price noted is for half-day. Full-day tours are also available and include lunch. Soft drinks, water, and beer are provided.